Prostate Cancer UK will extend its close association with senior professional golf in 2018 when the charity joins forces with the Staysure Tour’s Travis Perkins Masters, which is be held at Woburn from August 31-September 2. This represents the fourth successive season in which a senior tournament has linked arms with the leading men’s health charity, focused on raising funds and awareness among the professional fraternity. To celebrate 15 years of the Travis Perkins Masters, the opening day of the tournament – August 31 – has been designated ‘Free Friday’ with admission to the course free of charge. However, all charitable donations collected by volunteers will go to Prostate Cancer UK, who provide a vital role in helping men in the 50+ age group most at risk of developing prostate cancer. Prostate Cancer UK will also collect donations at strategic points around the Woburn complex during rounds two and three on Saturday, September 1 and Sunday, September 2 when entry costs £15 (£10 in advance). James Beeby, Director of Fundraising for Prostate Cancer UK said: “We’re proud of our work across the great game of golf and it’s great to continue our work with the European Senior Tour for a fourth successive year. 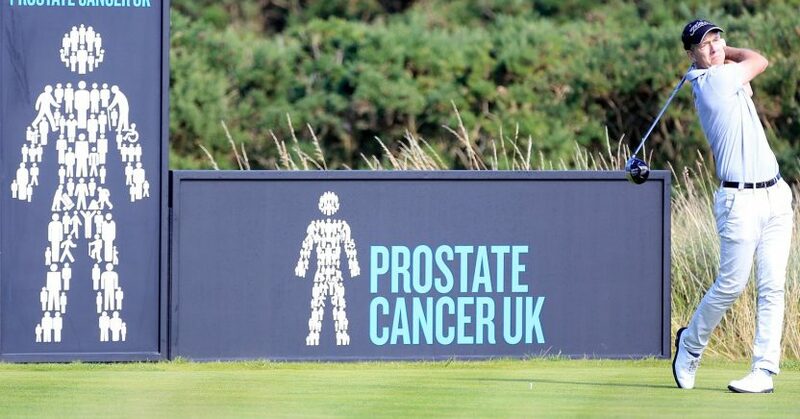 The sad fact is, prostate cancer exists in every golf club, but by having a presence at the Travis Perkins Masters, we can help raise awareness and funds to knock this disease out of bounds. One man dies from prostate cancer every 45 minutes; it’s the most common cancer in men, but we want to make prostate cancer a disease that the next generation of men do not fear.